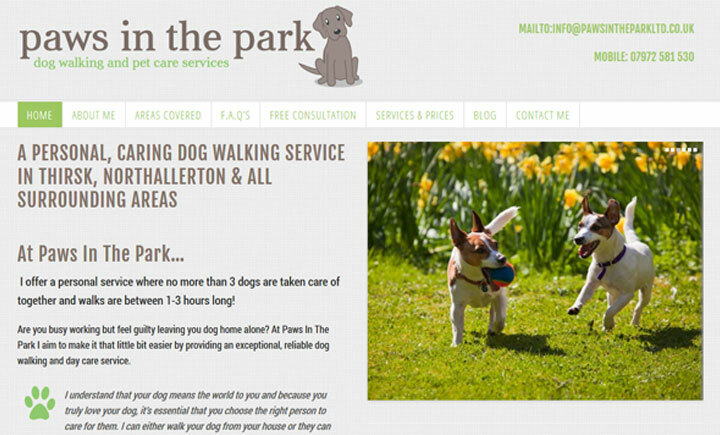 Based in Sowerby, Thirsk, Paws In The Park has been offering dog walking services for local dog owners since 2013. As a dog owner, and someone that has used dog walkers and doggy day care services before, I know how vital it is that you can trust and rely on the person coming in to care for your pet. I can walk your dog on its own, or in a group of no more than 3 well matched dogs, plus my own dog. I offer a choice of a 2-3 hour morning adventure hike or a 1 hour lunchtime walk. Paws In The Park also covers Sowerby, Northallerton, Thornton-le-Street, Thornton-le-Beans, Thornbrough, South Kilvington.